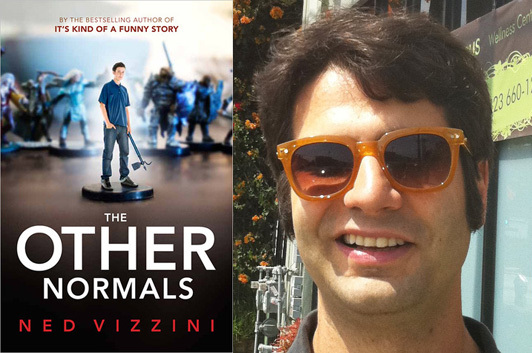 Ned will be at the New York Comic Con this weekend; he’ll be signing copies of The Other Normals on Saturday, October 13, just before takes part in a panel with screenwriter/director Chris Columbus where they’ll be talking about their new project, House of Secrets. I always wanted to play Dungeons & Dragons when I was a teenager. Why? It seemed like an appropriate thing to do for a person who looked like I did then. I had a suspicion that the people who played would accept me for who I was. Number three was most important. I really did love those D&D rulebooks. I had an uncanny ability to sit and read them and imagine what my characters would be like, and draw up charts and maps, and buy weapons for a big adventure… all without ever having another person to play with! It makes sense now. The part of other teenagers’ minds that was turned on by the parsing of data (I’m thinking about baseball cards and comic books; two decades later, this escapist instinct is exemplified by the cataloging of vast media archives) was satisfied for me by these books. They all got food in their spines and eventually rotted apart. But I never found anyone to play with. 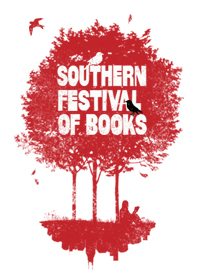 On Sunday, October 14, I’ll be moderating a panel at this year’s Southern Festival of Books in Nashville, Tennessee. I’m looking forward to chatting with novelists Julianna Baggott and Michael Knight, along with literary publicist Julie Schoerke, for a panel we’re calling “Love It or Hate It? 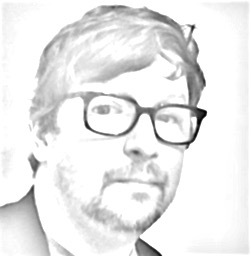 Authors and Social Media.” As we dig into why some authors are embracing the online world and others choose to keep it at a distance, I’m sure we’ll talk about the wrong way to engage readers online, the really wrong way to engage readers online, and whether enthusiastic readers are ruining literary criticism. Among many other topics! I’m definitely aiming to keep this conversation lively for a general audience, but I’m also hoping that it will deliver a lot of practical advice both for writers and for readers who want to play an active role in an online “literary culture.” And, if you’re at the Festival and following me on Twitter, I’ll very likely be coming up with some sort of incentive to encourage folks to purchase signed copies of Getting Right With Tao after the panel. The whole weekend of programming looks really great, and I wish I were actually going to be there for all of it. But before I fly down to Nashville, I’ll be doing something just as fun: On Saturday, October 13, I’ll be at the New Jersey Romance Writers conference in Iselin, hosting a special Lady Jane’s Salon program with my fellow co-founder, Hope Tarr. It’s going to feature readings by Mary Jo Putney, Susan Wiggs, May McGoldrick, and Heather Graham—a really fantastic all-star lineup, with several authors I’m excited to be meeting for the first time. This is more of a writers’ conference than a book festival, but if you’re an aspiring romance writer in the tri-state area, they’ve got a bunch of great writers coming to share their expertise, as well as the chance to talk with agents and editors. It should be an excellent learning opportunity. If you’re at either event, say hello!